Readers would be pleased to know that Marcelo Leal has teamed up with Packt Publishing and we are organizing a Giveaway for you to celebrate the release of his book and three lucky winners stand a chance to win an e-copy of Implementing Samba 4. Keep reading to find out how you can be one of the Lucky Winner. 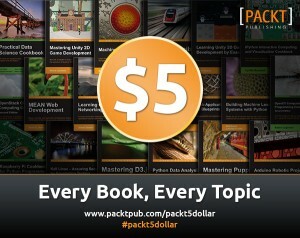 All you need to do is head on over to the http://www.packtpub.com/implementing-samba-4/book and look through the product description of this book and drop a line via the comments below to let us know what interests you the most about this book. It’s that simple! The contest will close on Mai/09/2014. Winners will be contacted by email, so be sure to use your real email address when you comment! I do work with systems architecture (operating systems, network and storage plumbing). Strong experience (more than 20 years): prospecting, modeling, planning and implementing new solutions to provide resilient internet services, cost effective operational infrastructure, storage performance and data protection for highly available systems. Finally a hands-on guide on how to implement Samba4. Can’t wait to start reading it. 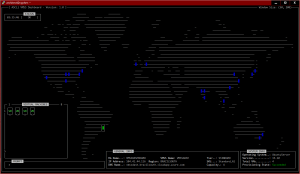 Replacing your Microsoft Windows Active Directory Domain Controller in a blink of an eye with a robust Linux box. A real upgrade! Hi Sebastião! Good to know that readers are excited about the technology and hope my book can help you out! Please, if you have any comments, good and bad, or doubts, don’t hesitate to ask and/or comment here on my blog! Hi Michael! If you have any doubts, comments and/or critics, please feel free to ask and comment here on the site! Good luck on the free copy contest! This book seems very interesting and powerful, to give us the possibility to use Samba4 and replace Active Directory licenses with a great open source project such as Samba. Can’t wait to read all the tips and implementation guide to make this easier and save a lot of time! Good to see the interest on my book! Packt Publishing should contact the lucky winners soon! If you have any doubts please don’t hesitate to ask. Stay tunned on this blog as I plan to add auxiliary content for the book here, and so you can wait for many Samba 4 related posts in the coming days! 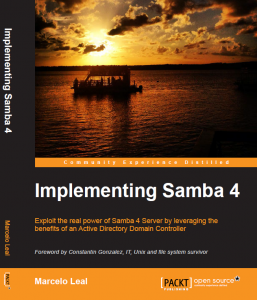 Woow that sounds nice that you have make a book about Samba 4 AD, very usefull. In our environment we have still windows server 2000 AD en now we gonna work with Samba 4 AD. Now i know you have write a book i think our IT’ers and me are very satisfied. Faz um bom tempo que estou a procura de um um bom livro para aprimorar a implementação que estou realizando nas empresas onde esta configurado o Samba4. Poderia informar se há possibilidade de comprar aqui no Brasil? Good to know that you have interest on the technology and that my book can be of a good help for you and the IT dept of you company! Você pode comprá-lo em formato digital (para diferentes dispositivos), e também optar por receber uma cópia impressa na sua residência. Obrigado pelo interesse na tecnologia e no meu livro. Abraço! Does the book describe how to make a samba server a windows domain member only? That book seems to be very useful. In my opinion it is almost perfect, despite of missing examples regarding FreeBSD and RedHat SO based installations. There is one more thing to comment, I would appreciate if more GPO examples and HA/Fault Tolerance configuration were provided. It was a very good job and you must be recognized for being the first to create this such good biography about Samba 4 subject. This is pretty much new technology which no one before had spent time to handle that job.